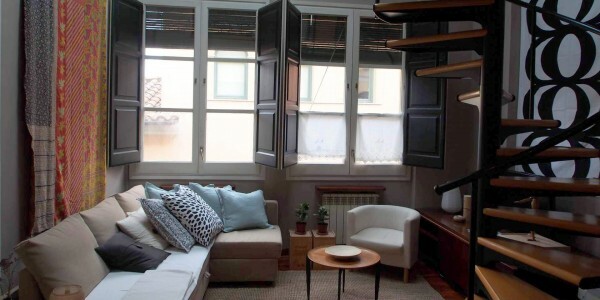 Cozy city apartment, divided over two levels with one bedroom. 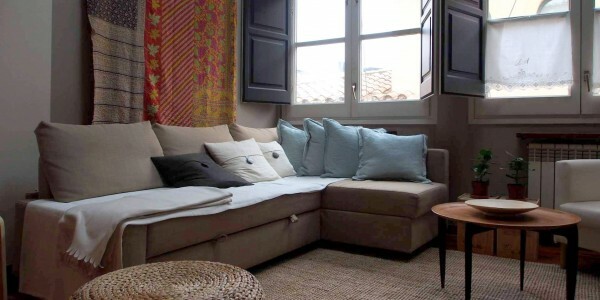 Beautifully decorated, to make you feel at home in Girona straight away! 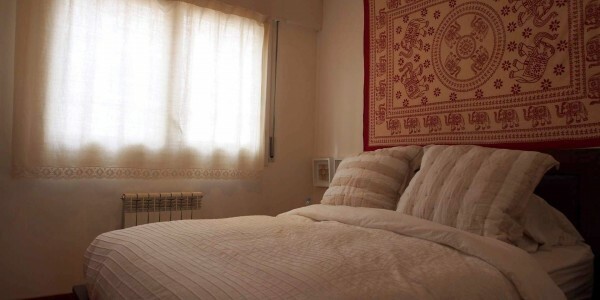 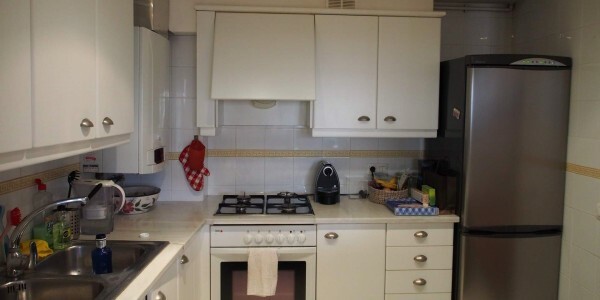 Located close to the Sant Feliu church in Calle Barca. 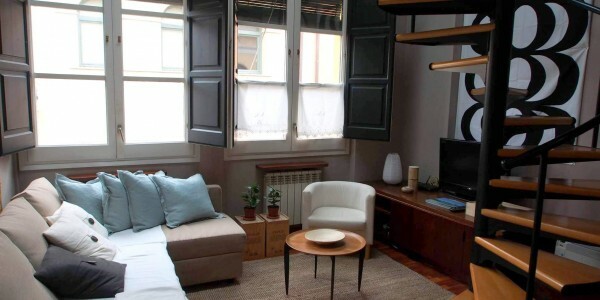 This beautifully apartment is located on the third floor. 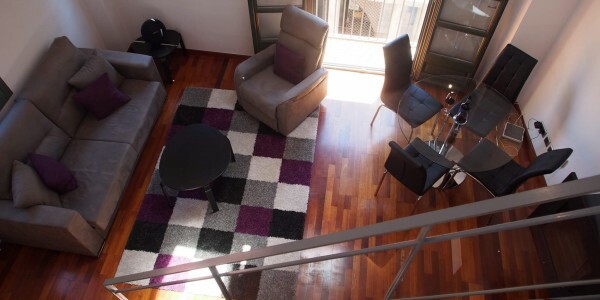 The apartment has high ceilings and has a bright and spacious living space on the first level. 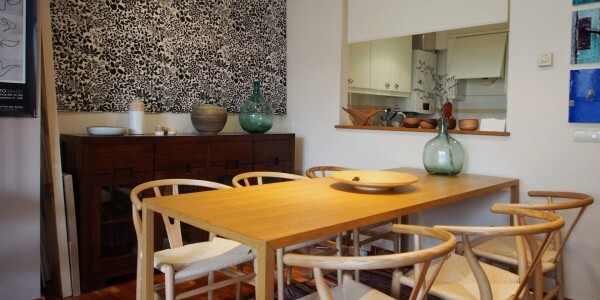 There is an open kitchen, with an open bar to the big dining table suitable for 6 guests. 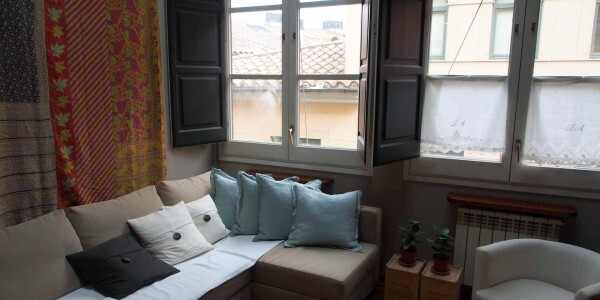 There is a sleeping sofa for an extra 2 guests and a cot available on demand. 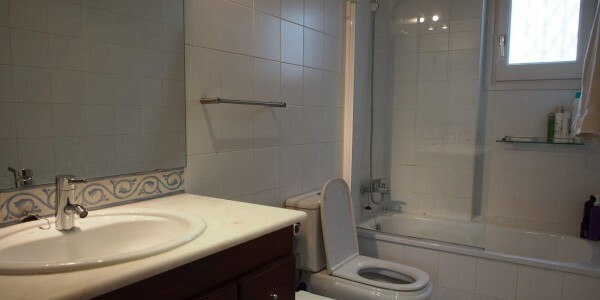 On the second level there is a bathroom with a bath, a little office area and main bedroom. 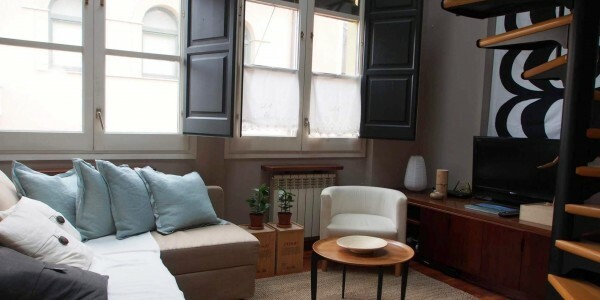 This bedroom is not on the main street side, so a nice and quit room for a good nights rest after a long day in Girona’s old town!